Heidi is still sight seeing in Chile, while Hudo gets over his engine flu. 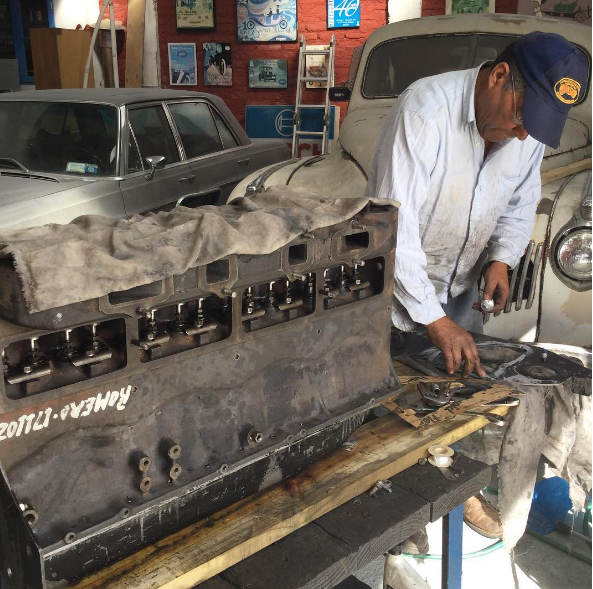 Still in Valparaiso Chile, Heidi has been getting her hands dirty again, as Hudo’s engine is undergoing a heavy overhaul. Squirrel Girl (Doreen Green) is a fictional superheroine appearing in American comic books published by Marvel Comics. However, when Emerald City Comicon rolls around in Seattle, we get visits from all the superheros, including the real Squirrel Girl. This Squirrel Girl was just lucky that Mongo and his sidekick Spork were not downtown on this day. Mongo knows fun. In fact, he is practically an expert in fun. So when Dad had to go to Atlanta for a month, Mongo decided to make his own fun. The first thing he decided to do was TP the house. Mongo knows, there are few things as fun as stringing paper through Drewbie’s bedroom! After the cancer scare and successful surgery in Germany , Heidi is back on the road with Hudo and her new companion Lili, a wonderful photographer and useful Spanish interpreter. Heidi has a new iPad to replace the one stolen in Argentina for photos to her Instagram account. She is currently in Valparaiso, Chile. And while Hudo managed to make it through the thin air of the Andes, it appears the Heidi has suffered a bit of altitude sickness. I wonder what Clärenore and Axel thought as they had everything packed to leave. I think they were damn glad to leave South America behind.